Have You Any Questions, Suggestions or Comments? 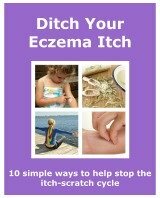 This site is here to help you with issues that can come from living with eczema. If you have any comments, suggestions or questions, then please contact me by using the form below. I would love to hear from you! I appreciate any feedback that can help me to provide more valuable information to you and other eczema sufferers. I have lived with eczema for over 40 years, so I will help as much as I can, but I'm not a trained medical professional and this site is for information purposes only. If you need any medical advice please contact your doctor.